Most families have that one person that is nearly impossible to please when it comes to presents. Well, if that person in your family is a NASCAR fan, set your worries aside. 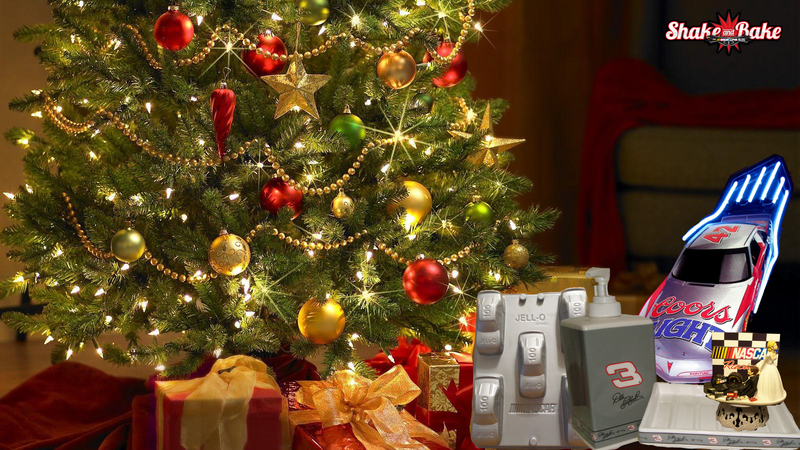 Here at Shake and Bake, we’ve found some great last minute Christmas gift ideas. Instead of focusing on the holiday season, perhaps take a different approach and look for items your NASCAR fan could use throughout the entire year around the house. 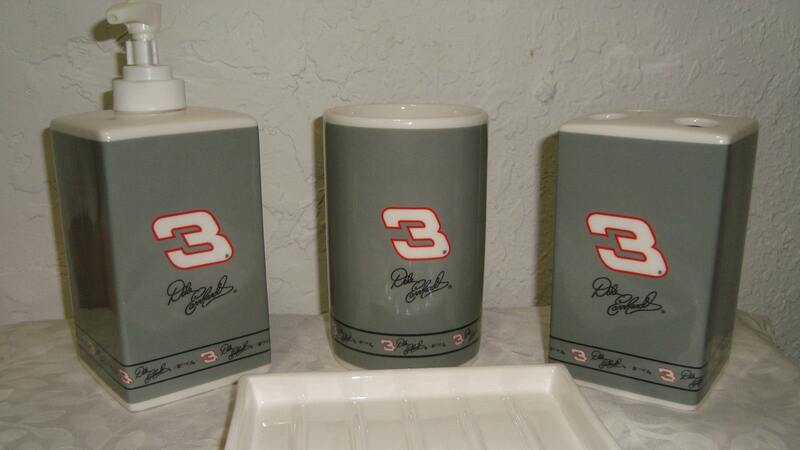 Make sure your NASCAR fan stays fresh and clean with this officially licensed Dale Earnhardt Sr. ceramic bathroom set, complete with soap dispenser, soap dish, toothbrush holder and tumbler. Maybe your NASCAR fan is more at home in the kitchen. Well, there’s certainly no shortage of options. Why not make sure race day is a bit more fun with a 12-speed Jeff Gordon blender?! Just imagine sipping on a smoothie while Gordon slides around Sonoma. 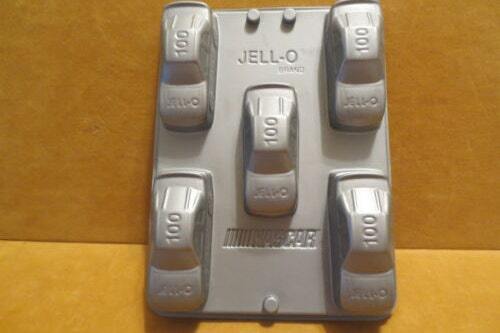 You could also keep the sweet tooth satisfied with this NASCAR-themed 3-inch Jello mold. While his former home recently burnt to the ground, you’ll never burn your pot roast with this Jeremy Mayfield slow cooker. Does that special NASCAR fan have a special day coming up? 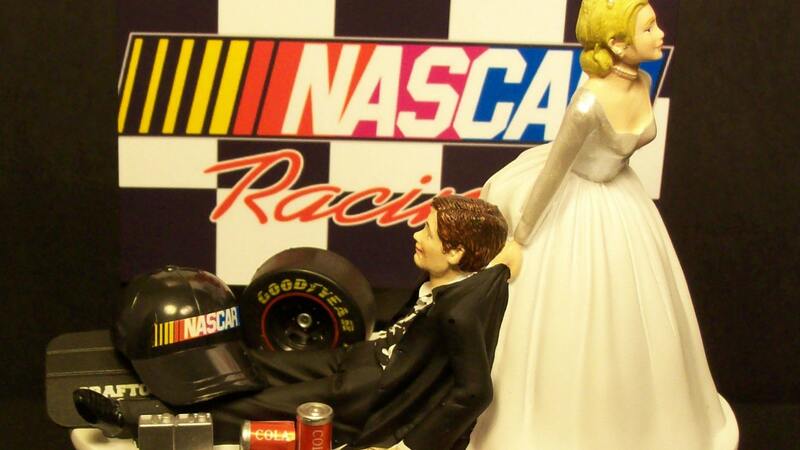 Make their wedding day complete with this hilarious NASCAR-themed wedding cake topper. Hopefully the big day isn’t a Sunday. Or perhaps your NASCAR fan prefers hanging out in his man cave to watch the races. Make his room complete with this Kyle Petty No. 42 Coors Light neon sign. What if your special race fan still has a pile of old NASCAR races on VHS? You don’t want to ruin them by rewinding them in the VHS player, right? Well, no worries. 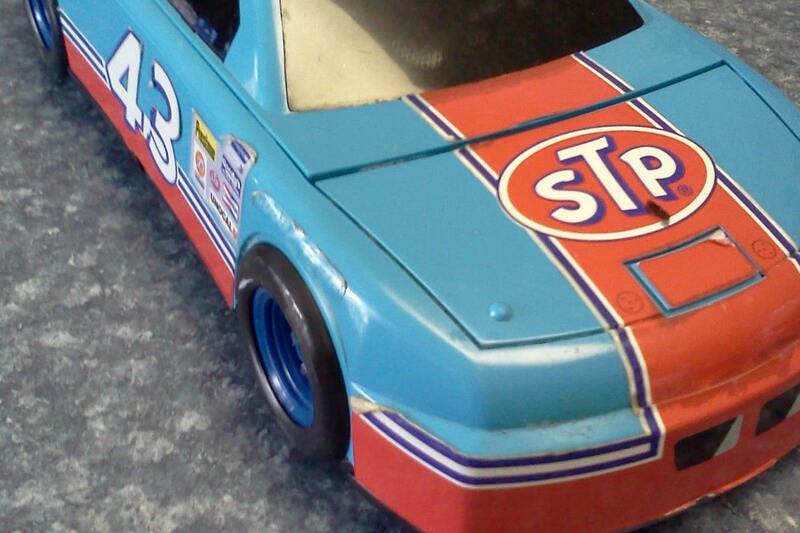 Rewind all your favorite tapes in this classic Richard Petty car shapped VHS rewinder.